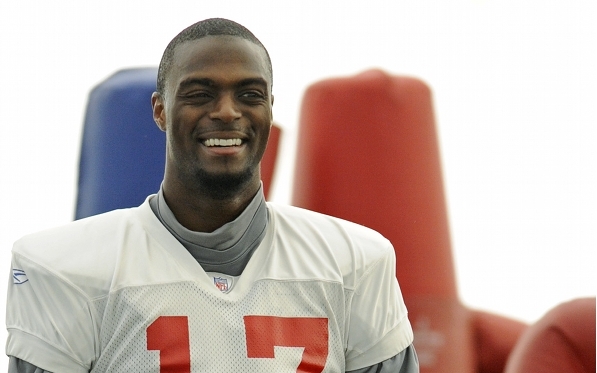 Don’t Call It A Comeback: Can Plaxico Burress Have A Michael Vick Comeback? After being released from prison quarterback Michael Vick was ready to make his comeback to the NFL. With two years away from the game of football due to his sentence many doubted that Vick would be able to be an NFL quarterback once again. However in his first season back he would play for the Philadelphia Eagles as the third string quarterback. Vick would complete 6 of his 13 attempts for 86 yards and one touchdown. The critiques poured out more stories and comments saying that Vick would never be the same. However the next season Vick would throw for 3,018 yards off of 233 completions for 21 touchdowns. Though, that wasn’t it as Vick would rush for 676 yards and 9 touchdowns. Vick was back and the critiques couldn’t say a word. Now two years later after being released from prison wide receiver Plaxico Burress was ready to make a comeback. Like Vick many questioned if he would be able to make a comeback and be as productive as he was before if not better. Like we learned from Vick we can’t predict the future as only time will tell. On July 31st, 2011 Burress would sign a one year $3.017 million guaranteed contract with the New York Jets. Playing in the same city that he did before except this time in different colors and with a new maturity level and a different mindset, this new and improved Plaxico Burress could just have a Michael Vick return. The only problem is Vick made his comeback at 29 Burress is making his comeback at age 34, an age that some players call it quits just like Randy Moss is most likely doing this year. Though, in other cases some players play on into their 40’s like the great Brett Favre did and may be doing again this season. Though, why age does play a factor however so does the team, the coach and the organization and in Burress’s case all three of those factors are all a very beneficial. Playing with an up and coming Mark Sanchez at the quarterback with an offensive line that may just be the best in football and having a pro bowl wide receiver lining up on the other side of him Burress couldn’t have chose a better spot to make a comeback then this.